Richmond Homearama 2019, presented by The Home Building Association of Richmond, will begin on June 1 with events running through June 16. As for the host neighborhood, the show is heading out of Chesterfield County this year and making its way across the river to River Mill in Henrico. River Mill is a brand new kind of neighborhood for Richmond as its First Certified Active Development. It’s focus is on open spaces with a natural environment nestled along the Chickahominy River. Homebuyers will enjoy access to several amenities including a clubhouse, pool, play area, several parks, and miles of walking trails. It sounds like the perfect spot for Homearama to do what it does best, which is gather some of RVA’s best builders to construct some state-of-the-art, ahead of the curve, homes. Plans have already been drawn and construction has begun with top Richmond builders like LeGault Homes, Schell Brothers, LifeStyle Home Builders, and HHHunt Homes of Richmond on the docket to showcase their skills this year. It’s always exciting to see what each builder brings to the table. From the initial computer renderings of the homes’ exteriors to the surprises found inside on opening day, we love seeing it all unfold throughout the months leading up to the show. 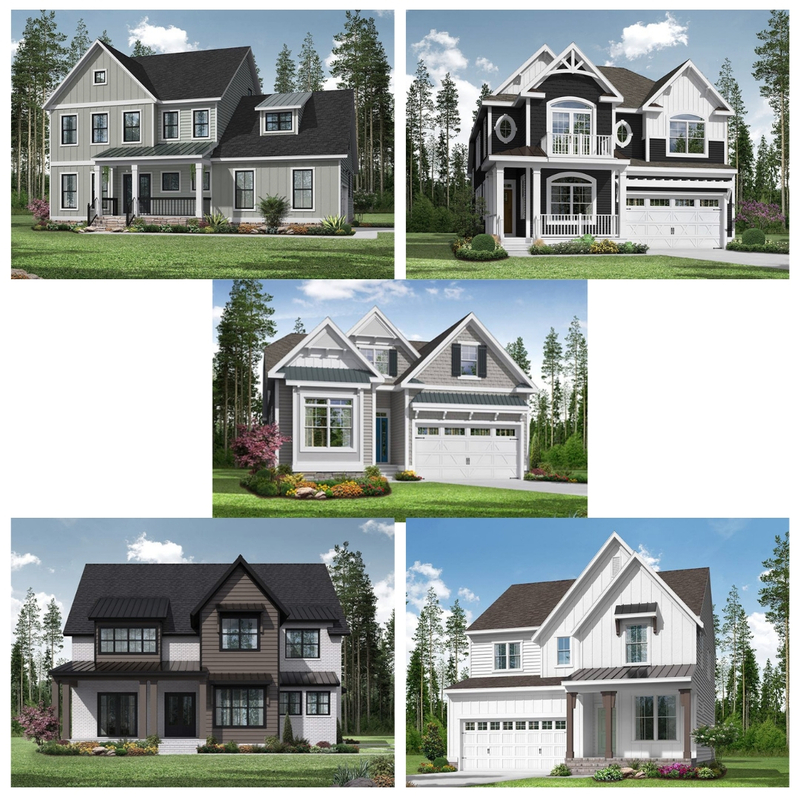 The Home Building Association of Richmond has just released photos for some of the homes coming to River Mill this year on their Facebook page (linked here) and here they are! Follow Richmond Homearama on Facebook and @RichmondHomearama on Instagram for up to date information and all the exciting announcements leading up to the event. And for more information on the community of River Mill, be sure to follow them too. You’ll also be able to find out ticket information and this year’s event schedule at these two places as well. We can’t wait to see the talent and craftsmanship the builders bring to Richmond Homearama 2019!